Until recently, I'd never attended a photography workshop. I'm a self-taught photographer who has learned mainly through trial and error, reading books and magazines, and shooting with friends. Workshops are expensive and often far away and inconvenient. Plus, photography is a solitary activity; why do it with a bunch of strangers? I had many reasons to justify my aversion to workshops...yet I still wondered what I was missing. While browsing the Leica website soon after purchasing my new Leica M10, I noticed a workshop in Zion National Park in November. 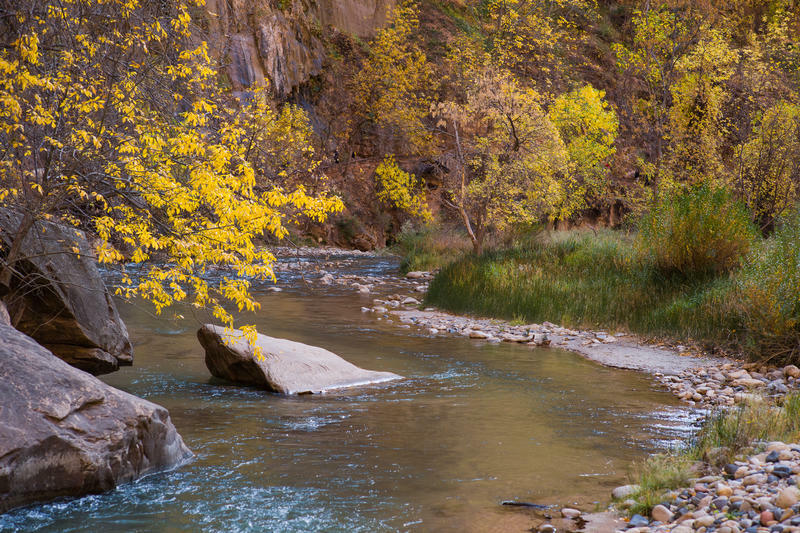 Zion in autumn is beautiful and is only a four-hour drive for me. Plus, I have photographer friends who enjoy photo workshops...what could I learn from a Leica Akademie instructor? Finally, while the cost was about $2,600, this included four nights of lodging and meals, which made the cost much more reasonable to consider. My excuses were running out. 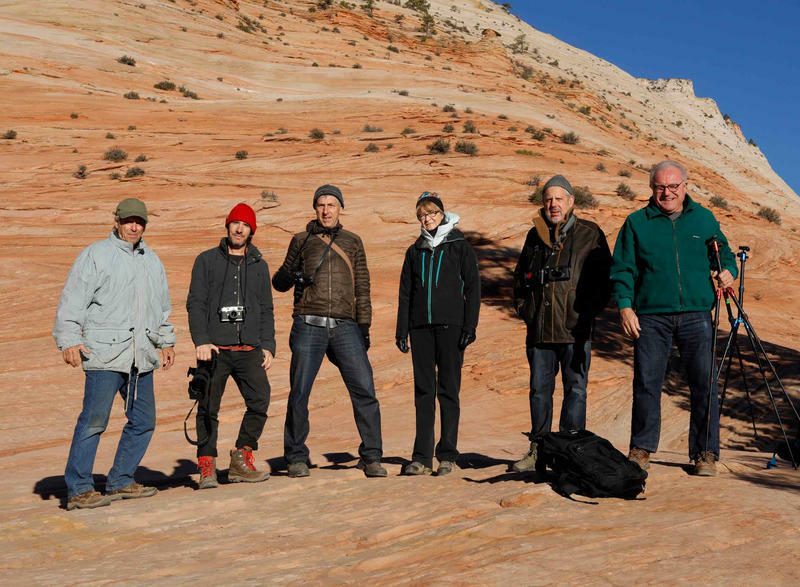 Finally, after years of avoiding workshops, I signed up for the Leica Akademie of Landscape Photography in Zion. The Holiday Inn Express in Springdale served as the workshop headquarters, and it is conveniently located outside the entrance to Zion National Park. The Akademie students checked in with our instructor, Mike Phaling, a professional photographer as well as our workshop leader. You can view his work here. Our group included a neurologist, an accountant, an economist, a professional photographer, and me. Devotion to photography and the desire to improve our work were the common threads. Even though this was a Leica workshop, the cameras were as diverse as the students. My concern that this would be a pretentious "Leica only" group evaporated. Gear inventory included Leicas as well as Canons, Nikons, Fujis and a classic Rolleiflex. The varied equipment guaranteed unique perspectives and the opportunity to learn a great deal from other students. The workshop was four days...four long days. We would rise early to catch the morning light and eat snacks in the field. Our field work was varied and allowed us to capture rivers, cliffs, stone, and desert. We were sometimes together and sometimes alone, and Mike spent time with each of us assessing our proficiency, reviewing our specific goals, and providing guidance. Mike suggested I watch the edges of the photos when setting up. It's relatively easy for the center of the photo to be interesting, but it takes concentration to remember that unwanted objects in the photo's edges distract the viewer. Conversely, deliberately adding elements to the edge of the photo can also provide context or contrast to your subject. I started paying attention to the edges. After our field work we would regroup and enthusiastically share our photos and experiences. 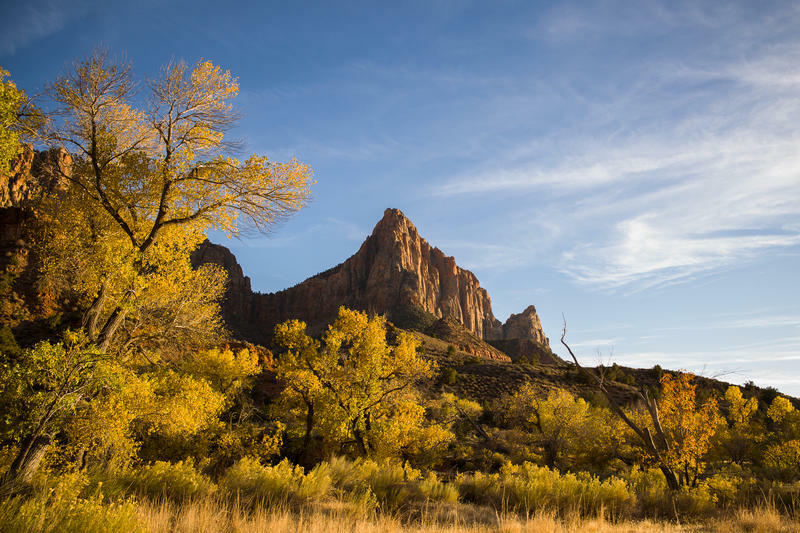 Zion in autumn is breathtaking: The bright yellow leaves were especially vivid as they stood out against the dark cliff walls in the background, and tree branches contrasted against the warm colors of the leaves and cliffs. And, of course, the view down the Virgin River was just incredible with its brilliant crimson cliff walls and vibrant autumn colors lining the river banks. Every day ended with a group dinner where we would share what we learned over good food and adult beverages. After one dinner I set out to capture Zion under the light of the moon and stars with one of the other students. He had never done this type of photography and was keen to give it a try. We drove into the park to escape the town's light, and the stars were brilliant. We headed up the road as we climbed the canyon walls and the moon appeared. Red sandstone illuminated by moonlight is breathtaking. The evening air was cold, but we didn't notice because our night adventure was exhilarating! Our two-hour impromptu field work was a zen-like experience where time stopped, and it was a night I will always remember. 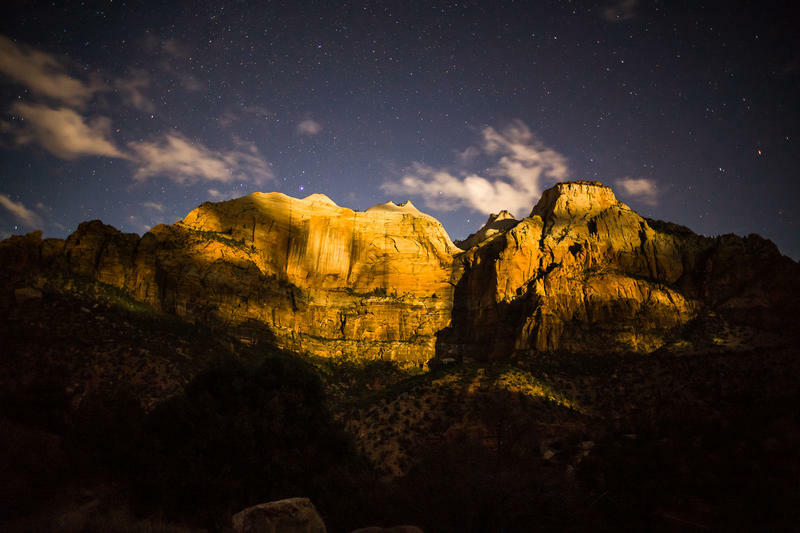 The moonlit cliffs of Zion under the stars. 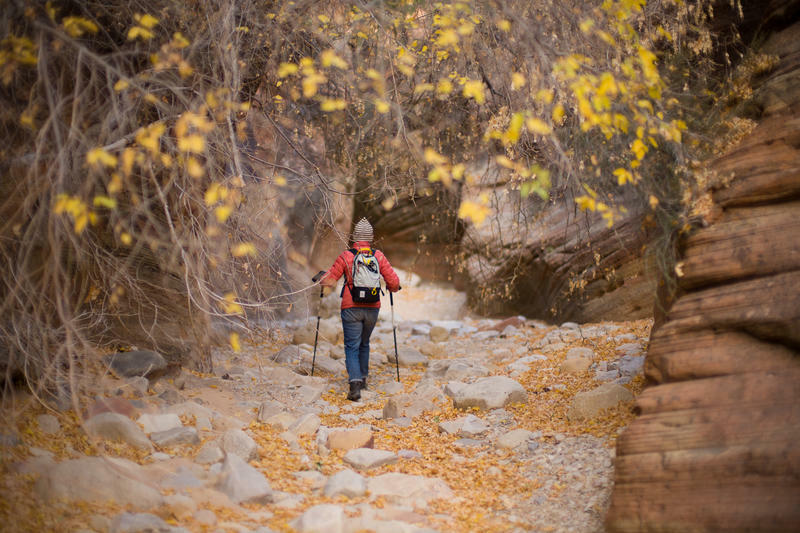 Hiking in the flood wash. The final assignment was to select, share and discuss three photos with the group. Only three, from four days of shooting at one of the world's most beautiful locations. For me, this meant reviewing 1,000 photos and choosing only three. This is challenging, but it is a necessary workshop component. The selection process is often difficult for photographers. Separating the great from the good requires a critical eye and patience. 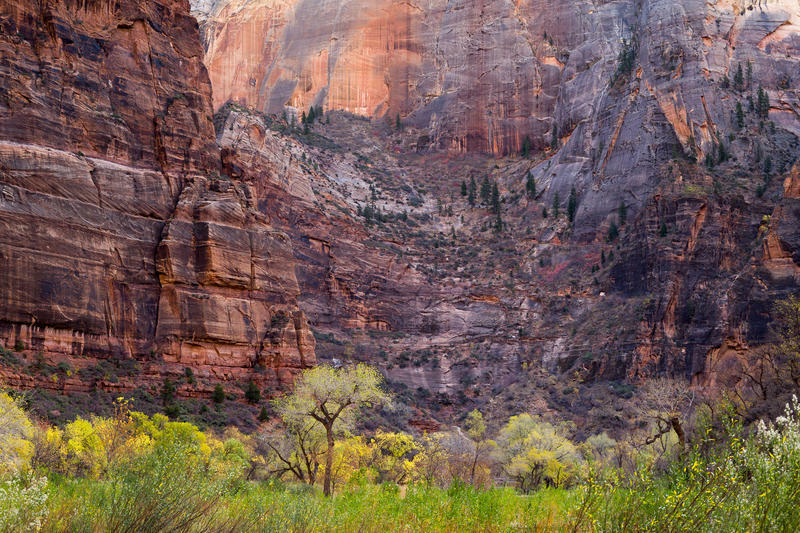 My three photos represented the diversity of Zion. And each accented a different feeling or a different type of photography. My first choice was a photo of trees in an autumnal transition set against a sheer sandstone wall. More than any other, this photo represents Zion National Park to me, especially the huge, brilliant cliffs that dwarf the colorful trees on the canyon floor. Feedback from the critique was encouraging and helpful: The well framed colors reflected what we remembered of that morning, and we discussed if I could I have improved the photo. Perhaps moving up the hill to change the foreground? My second photo choice was a pronghorn sheep resting in the sun. 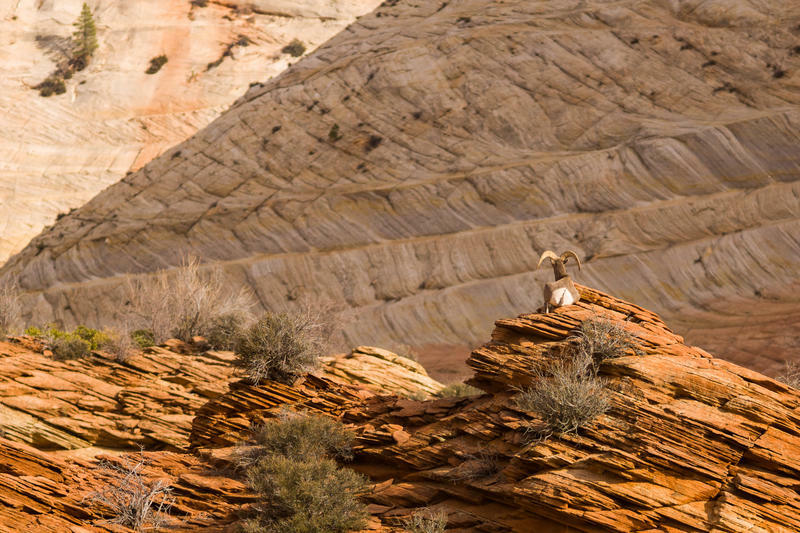 He is perched with his natural camouflage hiding him in layers of stone of contrasting shapes, colors, and textures. The group liked the framing, timing and composition, and we discussed whether or not this was really a "landscape" photo since this class was for landscape photography. The consensus was yes, this was a landscape photo that happened to include a sheep that made the photo more interesting. My third and final photo was an abstract. 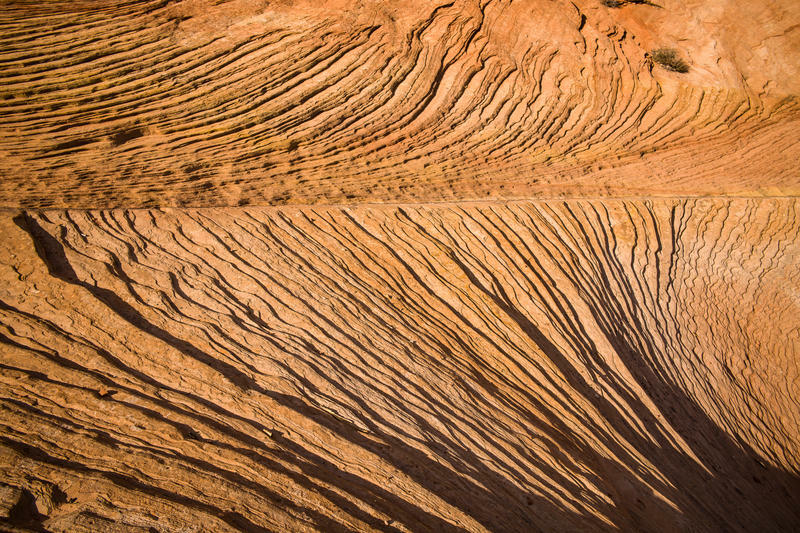 Walking along Zion's surreal landscape, I was overwhelmed by it's unnatural and disorienting beauty. My intention was to capture the feeling of disorientation. I chose this photo because the direction and orientation of the stone is fluid and seems to change the longer you stare at it. Other members of the group had seen these same forms and tried to capture this type of effect, but they thought this image really captured it well. One suggestion I found helpful was to pay attention to the borders of the image. People asked if the little piece of vegetation creeping in the upper right portion of the image enhances or detracts from the impression I was hoping to create. I decided it would be a better image without. Lessons and takeaways: Why are we photographers? I enrolled in the workshop not knowing what to expect, but I was hoping to improve my craft and share full days photographing natural beauty with new friends. All my hopes were exceeded. What did I learn? Photography is like life. A great photo tells a story about a subject and context. Which is to say, photography is about framing and perspective. Ansel Adams once said, "A good photograph is knowing where to stand." By simply moving the camera a little to the left or right, or forward or backward, you modify the perspective. Choosing a 24-millimeter lens or a 90-millimeter lens changes the framing. A photographer makes simple choices. When these choices coalesce, the result is magical. Aren't these the same choices we make in life? Living well is often a matter of focus, framing and perspective. A simple experience like drinking your morning coffee or walking on the beach may be enjoyable. Sometimes including a friend or loved one in this action makes it better. Including others in an experience is like "zooming out" in a photograph. You can enhance the quality of the experience by including others. But if you include too many people, that walk on the beach or the cup of coffee might not be as enjoyable. The noise of the scene drowns out the enjoyment of the experience. Pay attention to the edges of the photo. The center is easy since we have an idea of what we want to photograph. But it is the edges that really make the difference. I improved my abstract photo of the wavy rocks by excluding the scrap of vegetation. Putting thought into what to include and what to discard makes a big difference. And isn't the same in life? Aren't there people that creep onto the edges that we would be better off without? And likewise, doesn't investing a little extra effort to include friends make life richer? Adjusting our camera's perspective to intentionally include something is like putting forth effort to see an old friend. Photos, like life, improve by paying attention to the edges. Throughout the week Mike often re-focused the group's attention by asking, "How can this photo be improved?" Continuous improvement is also an essential part of a life lived well. It's easy to be complacent or lazy...in life or in photography. Repeating the question, "Can this be improved?" almost always makes things better. Mike's question was was a helpful reminder to me, and I'll try and keep this thought with me every time I push the shutter. At the meeting's end, Mike asked two specific questions: "What do you do with your photographs?" and "What do you want to get out of this workshop?" Hmmm... Again, why the hell was I doing this? In an age where literally everyone has a camera in their pocket all the time...why bother? Each of us had different motives. For me, I like to share my photos on the internet, so our travel site is photo rich. If I am honest with myself, photography is a vehicle to show others how I see the world. What did I want out of the workshop? I wanted to improve my craft. The answers from other students included sharing and selling photos on the internet and making prints. Everyone wished to learn and enjoy the experience of photography. This article was originally published at Travel is Beautiful with more detail and more photography.